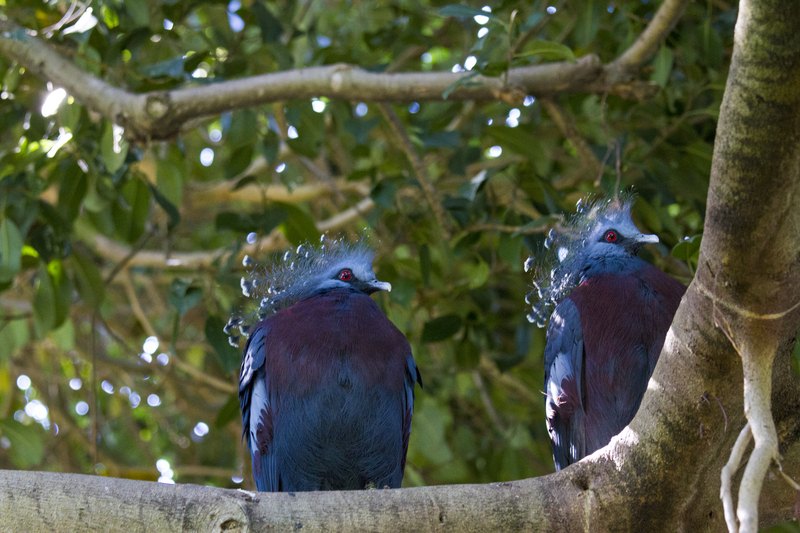 Kongo forgets what these are but he loves the plumage. 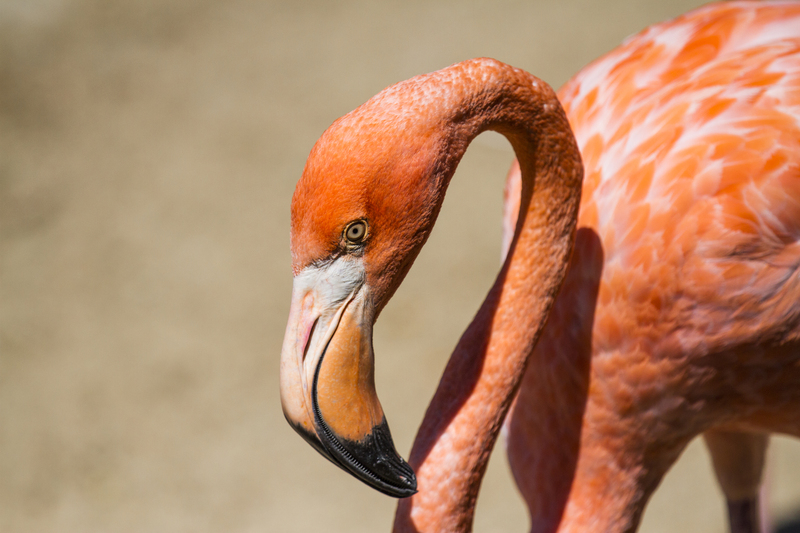 The eye of a flamingo. 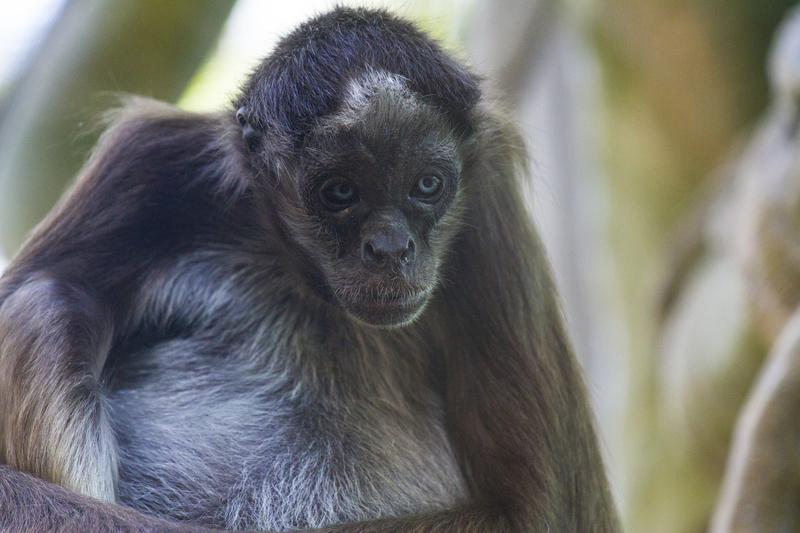 This poor little Spider Monkey just looks sad. 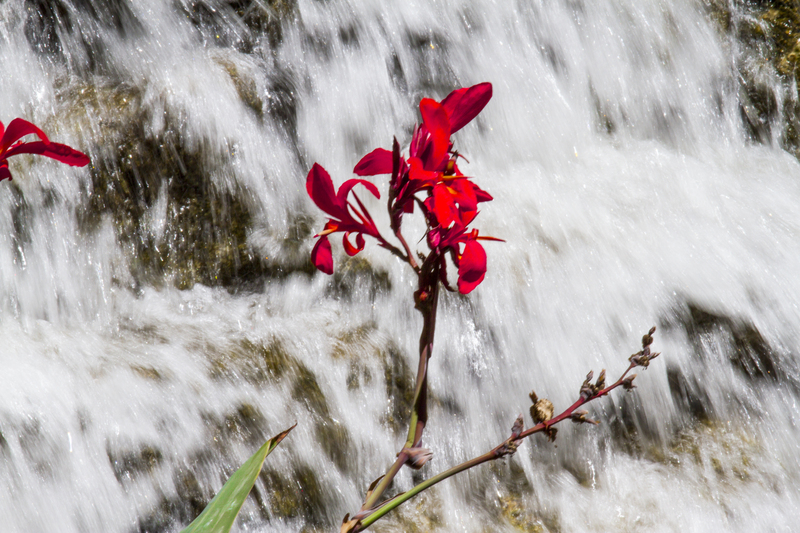 A waterfall is a great backdrop for an Iris. 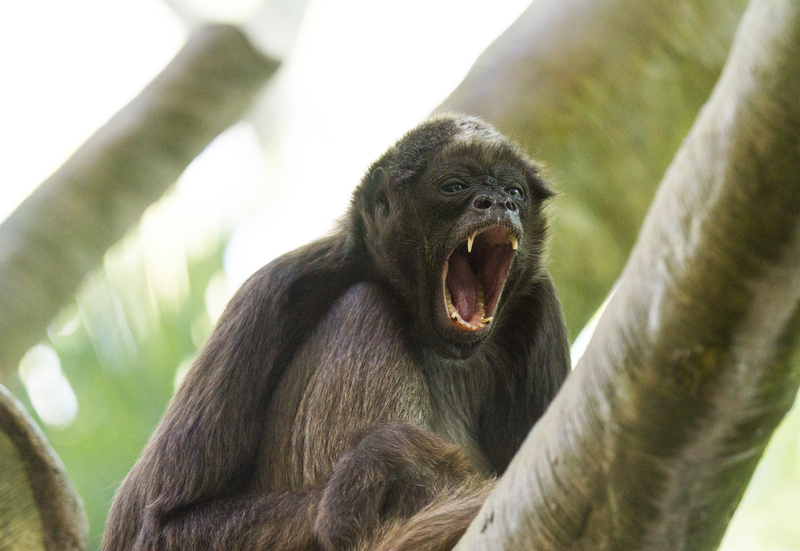 Although this spider monkey looks like he’s giving Kongo a what for scream, he was actually on the tail end of a very long yawn. I’m sure they get tired of looking at all the visitors all day long. What kind of lens did you get? I’m jealous! Hi, Nina. 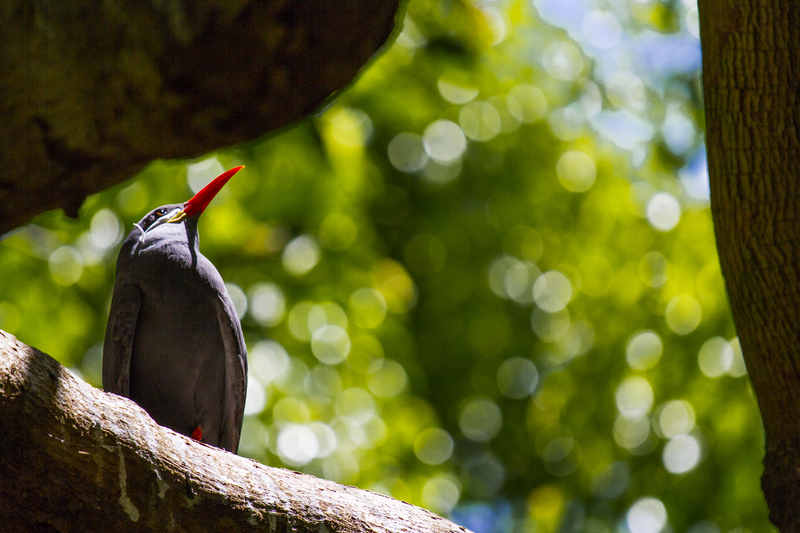 This was a Canon 70-200 MM f/4L IS USM. At first I thought the f/4 might be too slow but it worked out great provided you keep your shutter speed up but that’s easy with the camera’s ability to step up ISO. The faster 70-200 Canon L lens weighs a LOT more so this turned out to be a super walking about lens. Thanks for visiting. I had this lens before the f/2.8 II. Great lens and it is probably the sharpest zoom Canon makes. My copy was sharper than my current f/2.8 II. Thanks for that feedback, Mark. Thanks, Suzanne. I almost always carry a carbon fiber monopod for times I want to be still as my tripod gets weighty when I’m just walking about. The zoo was so crowded yesterday I think a tripod would have been knocked over by all the little human monkeys scampering about everywhere. I sometimes use a Tamron 200-500 that isn’t stabilized and that monster ALWAYS needs a tripod but it’s great for looking at moon craters! The lens and the photographer did a magnificent job with the zoo! The lens definitely does the job, but it’s still the guy behind the lens that makes the photo. As usual, you have some great ones.